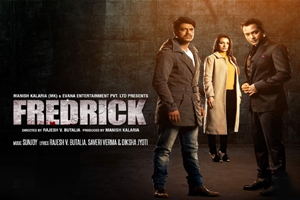 Fredrick is a 2016 Hindi suspense thriller film directed by Rajesh Butalia. The film features Prashant Narayanan, Avinash Dhyani, Tulna Butalia. The songs of film is sung by Deepali Sathe, Ryan Victor, Shaan, Rimi Dhar, Sunidhi Chauhan. Here is the link of all the songs lyrics and videos of Fredrick.